Lindsay provides customers with outstanding service throughout their 23andMe experience, and she is primarily responsible for product support as an ancestry specialist on the Customer Care Team. Prior to joining 23andMe, Lindsay was a senior account manager at Wei Laboratories. 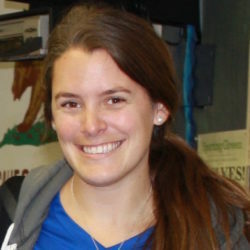 Lindsay grew up in the San Francisco Bay Area and earned her Bachelor of Science degree in Psychobiology from Santa Clara University.